Ironman 70.3 Taiwan, Taitung Race Report by Stephanie L.
This was my first 70.3 after completing two Olympic distances and the first time racing with the Tritons. I initially contemplated going to the 70.3 in Colombo but was so glad that I picked Taitung because it ended up being the best weekend with some awesome teammates. So much has changed since my first race! I was undertrained, went to Subic Bay by myself, hardly knew how to set up my bike, and was not confident enough for clipless pedals. Fast forward 9 months later and I was boarding the plane with a whole group of teammates, feeling excited and prepared for my first half ironman! The flight was really short and before I knew it we were getting into the large bus that Lisa organized for everyone (Thanks Lisa!). We had decided to stay at the Taitung Suites, which came highly recommended by Tritons who had been to Taitung before. Everyone was pretty tired from the long bus ride so it was an early night in. The next day we all went to registration then tested out our bikes to make sure everything was in order. Damo’s tire had a puncture and I found out that my gears were almost completely drained of battery. Luckily we realized all this before race day! We went to the race briefing where I was filled with anxiety when I heard that there would be multiple hairpin turns coming in and out of the bike course. I had crashed my bike in both previous races during tight u-turns so I was really nervous… Bedtime was at 8 pm and I drifted off to an uneasy sleep before being woken up by some fireworks and strange ice cream truck music in the middle of the night. Suddenly it was race morning! Regardless of u-turn crashes or not… I was ready to take on the race. I sleepily put on my wetsuit and made my way to the lake. 10 minutes before start time, I ran into Mandy who suddenly asked, “Why are you wearing the wetsuit inside out?”... oh no! Luckily I was able to quickly tug and pull until the wetsuit was on properly and I had a few minutes to catch my breath before starting. The swim was straightforward, in and out of a manmade lake and I was fortunate to only come across 2-3 breaststrokers. However, I kept gravitating towards the left and hit the buoys a few times, I definitely need to work on sighting and swimming in a straight line! I got out of the water feeling great and started running towards the bike racks 600 m away. Some guy tried to jump over the racks and not run the full length but Margaret and I quickly yelled “CHEATER, YOU CAN’T DO THAT” and had an official chase that guy down. Not on our watch! Onto the bike! I approached the funky hairpin turns and successfully went through all of them! I happily congratulated myself (I like to talk to myself during races) and felt confident for the rest of the bike leg. 20 km in I heard a clink noise as if something fell out. I hoped that it was not me and kept going. Around 40 km in I suddenly heard a strange flapping noise from my rear tire and then a loud POP. Everyone around me yelled out “Tired exploded!” (thank you captain obvious) and I stopped on the side of the road, my heart filled with dread. My tire was completely destroyed and two screws from my shoe were also missing. A friendly local couple and a policeman came up to me and asked whether I had a number I could call. I helplessly said I had no number but asked for them to try and find a volunteer. I sulkily stood on the road while hundreds of people zoomed passed me and was starting to wonder whether I would even finish the race. Suddenly a volunteer on a motorcycle came and told me that a bike tent was just around the corner! My spirits soared after the bike mechanics said they could replace both my tire AND my shoes! Hope is not lost! While this entire ordeal took over 20 minutes, I was so grateful for their help and quickly got back on my bike to finish the race. The bike course had some long climbs but you were also greeted with gorgeous views of the ocean and then some super fast downhills. I was starting to feel the effect of the 90 km in the last 10 km and was ready to get off my bike. Finally getting onto the run course! The run course consisted of 3 loops where you will get a yellow, blue, and pink band for each loop. The end of each loop is quite a tease as one exit is for “another loop” and the other one is “to the finish line”! I was hoping to maintain a 5:40 pace for the run but I completely underestimated how jello-y my legs would feel after the swim and bike. I was seriously wondering why I put myself through this and how horrible two more loops would be in this blazing sun… then I suddenly saw the smiling face of Jerry on the side of the road cheering me on and I got my head back in the game. I almost hugged the girl who gave me the final pink band and got that final gush of energy for the last loop. Finally, I turned into the path that said: “to the finish line”!!! I mustered up all my remaining energy and sprinted towards the finish… and just like that, I was done with my first 70.3! This was such an incredible weekend and I was so happy to be surrounded by people who are not only strong athletes, but also fun-loving and encouraging teammates.  The World Championship roll-down after the race was really exciting because Toby, Sam, and Jerry got their slots to go to South Africa… it is going to be a Tritons party! The triathlon journey has been unbelievable and I am excited to continue training to be stronger and looking to either Subic Bay in June or Jeju in July for my next race!